There can be few things more frustrating than a leaking roof. We'll fix it for you - fast. The constant pitter-patter, the unwelcome drips, and of course, the water damage. Whether you have detected a new leak in your roof or have simply procrastinated for too long, call Adelaide’s Mott Plumbing today for a quick, efficient repair that will leave you wondering why you didn’t act sooner. The tradespeople at Mott have years of extensive experience in all forms of domestic and commercial roof plumbing, ensuring you get professional results every time. Roof Plumbing, Gutters, Storm Water Drains, Roof Repairs and Roof Replacement. Please contact Mott Plumbing today on 8462 9844 or send us a message. There are many reasons why your roof may be leaking, including moss growth, structural damage, tile breaks, substance build up, severe weather conditions and associated damage, or just general wear and tear and roof deterioration. 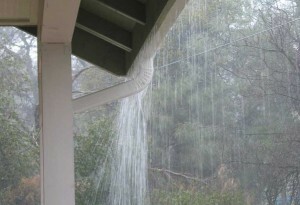 Roof leaks are most often caused by blockages in your gutters. Substances like moss or leaf debris can cause flow restrictions that create all sorts of problems once the heavy rains roll in. We specialise in locating any leaks or damage in your roof, fixing the issues while identifying any potential future problems. 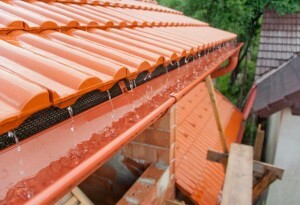 Gutters and storm water drains play a critical role in your roof plumbing systems. Once damage occurs, it can lead to serious flooding and leakage problems. Storm water drains often overflow when they become obstructed by tree roots, leaf debris, or dirt and silt build up. We use our drain cleaning equipment to solve these problems. Gutters commonly overflow when choked with tree debris, leaves and silt or when downpipes become blocked. Gutter cleaning and downpipe cleaning can stop these blockages becoming an expensive issue. When these problems are evident and left unattended, they can lead to structural damage to the building. If you are unsure, just call Mott Plumbing to have one of our experienced plumbers come out to look at how we can provide an appropriate solution. 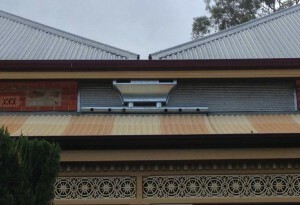 At Mott Plumbing, we have experienced, qualified and equipped Adelaide plumbers to handle all of your roofing issues, including roof repairs and replacement. We will always try to fix the problem first, however if repair won’t provide a lasting solution, we will provide replacement options and our professional recommendations, taking your individual circumstances into account. If you’re not sure of how much work your roof repair will require, there’s no need to worry. Contact us today and leave it in our capable hands.